Not long ago, we decided to put side by side the mid-range model Lenovo Legion Y530 and the budget-friendly ASUS TUF FX504 in order to find out what the major differences between them are. If you are intrigued by the outcome of this gaming battle, you can check it out over HERE. And so, today we return with another in-depth comparison whose aim is to distinguish two very interesting top models – Dell G5 15 5587 and ASUS ROG GL504 (SCAR II / Hero II). As usual, we are going to focus on their performance, build quality and other essential specification in order to help you decide which device suits you better. Starting off with design, we were slightly disappointed to see the thick bezels around the 15.6-inch screen of Dell G5. On the other hand, its ASUS rival stands out with its “bezel-less” design providing you with a larger screen area for more immersive visual experience. 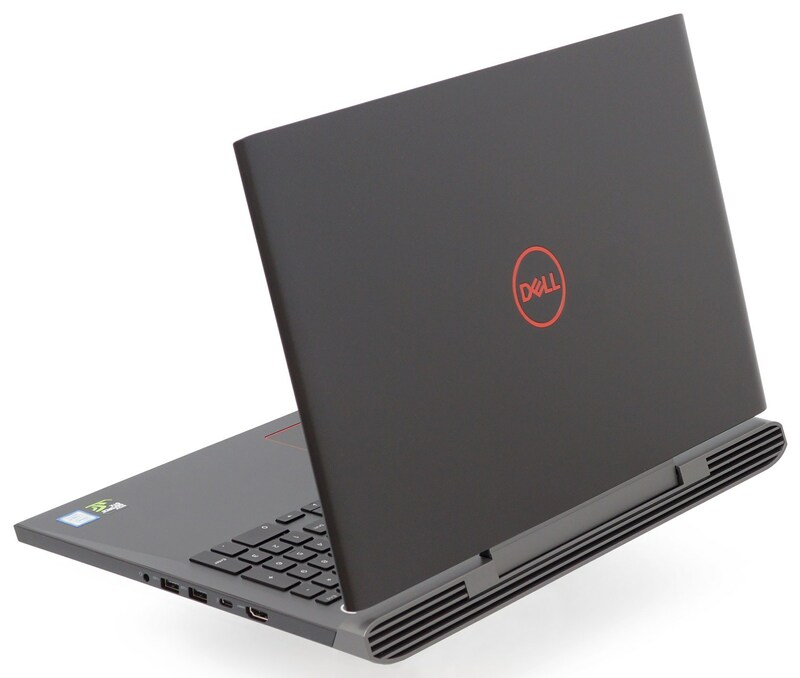 We should also mention the retro appearance of Dell G5 15 5587 which is due to the fact that it is not only a successor to Inspiron 7577 but it is also based on the same chassis. However, we were pleased with the overall build quality – the construction is solid and rigid with no creaky sounds or gaps. Moving on, the ASUS ROG GL504 incorporates not only plastic but also aluminum in its construction so we have no complaints. To be precise, the lid happens to be the only metal part here. Also, due to the extremely thin bezels, GL504 is the first ROG gaming device which is prominent for its small sizes. 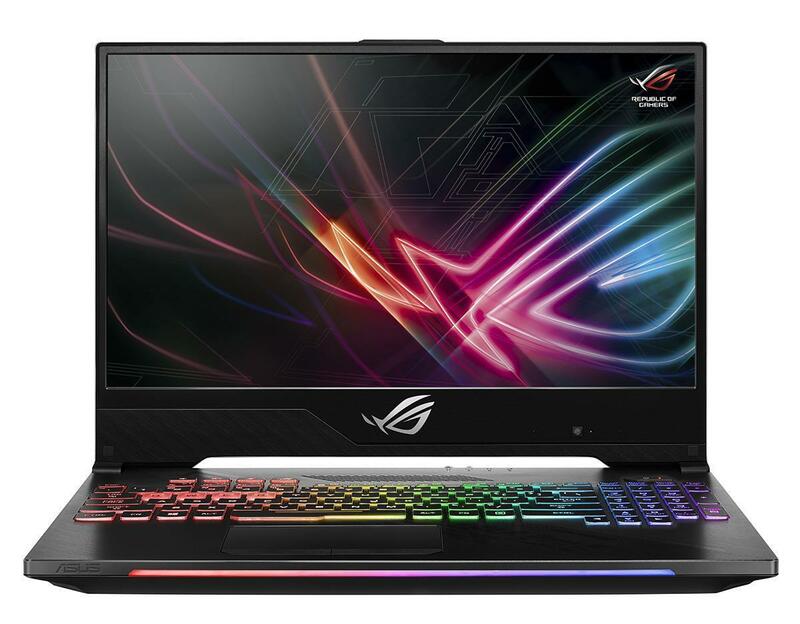 As for dimensions, ASUS ROG GL504 appears to be slightly thicker but on the other hand, has lower weight – 26.1 mm vs 24.95 mm and 2.40 kg (5.3 lbs) vs 2.61 kg (5.8 lbs) to be precise. Now let’s take a look at the input devices both notebooks provide. 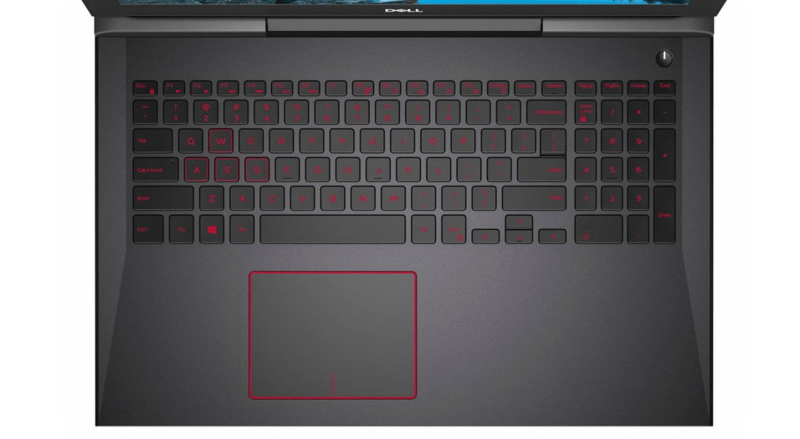 On the one hand, we were not that impressed by the keyboard of Dell G5 which clearly isn’t made by gamers as it has short key travel, while the arrows can make your gaming experience rather unpleasant. However, you are presented with a big and comfortable NumPad sector which is a plus. On the other hand, ASUS really takes pride in its ROG GL504’s keyboard. Its HyperStrike Pro construction features several technologies – each key boasts a 0.25mm concavity and a 1.8mm travel when typing. Furthermore, the keys have proved themselves fairly durable as they are rated at 20 million clicks and also you can press many of them at the same time thanks to the “N-key rollover”. We should also mention the Aura Sync RGB backlight with four zones ensuring more appealing gaming experience. And if you are wondering what’s the difference between the SCAR and HERO models – well, it lies purely in terms of design. The SCAR configurations are meant for FPS gaming including highlighted WASD keys, whereas HERO – for MOBA games with highlighted QWER keys. Our only complaint is the NumPad which might be too tight for people with bigger fingers. And so it’s time to take a look at the I/O side of things. Starting off with Dell G5 15 5587, on the left, you will find a Noble lock slot, charging plug, EthernetLAN, USB 3.0 Type-A with PowerShare, as well as memory card reader. In addition, the right side features a combo audio jack, another two USB 3.0 Type-A ports, Thunderbolt 3 and full-sized HDMI. As for ROG GL504, most of its ports are located on the left – a DC jack, LAN port, Dual-Mode Mini DisplayPort 1.2, HDMI 2.0, two USB 3.1 Gen 1 ports, USB 3.1 Gen 2 Type-C and a combo audio jack. The right side incorporates only one USB 3.1 (Gen 2) port, SD card reader, and a Kensington lock slot. Here, we should highlight the presence of Thunderbolt 3 in Dell G5 15 5587, as its rival does not have one, therefore you can’t use it with an external GPU. Both notebooks sport 15.6-inch IPS displays with Full HD (1920×1080) resolution, which translates into a pixel density of 142 ppi, and have a 0.18 x 0.18 mm pixel pitch but that is not of such importance as the following specs. ASUS ROG GL504 stands out with 144Hz refresh rate which will definitely appeal even to the most pretentious gamers as gaming becomes significantly smoother. Additionally, Dell’s G5 15 5587 panel has a model number LG LGD053F (156WF6-4XK13), whereas the ASUS’ one comes with a model number AUO B156HAN08.2 (AUO82ED). Due to the fact that both gaming notebooks come with IPS panels, it would come as no surprise that the viewing angles are comfortable. The first aspect where ROG GL504 surpasses its Dell rival comes in terms of maximum brightness levels – 338 nits vs 230 nits for the latter. As for color temperature, both devices have slightly colder than the optimal one – 7100 K on Dell G5 and 7690 K on ROG GL504. 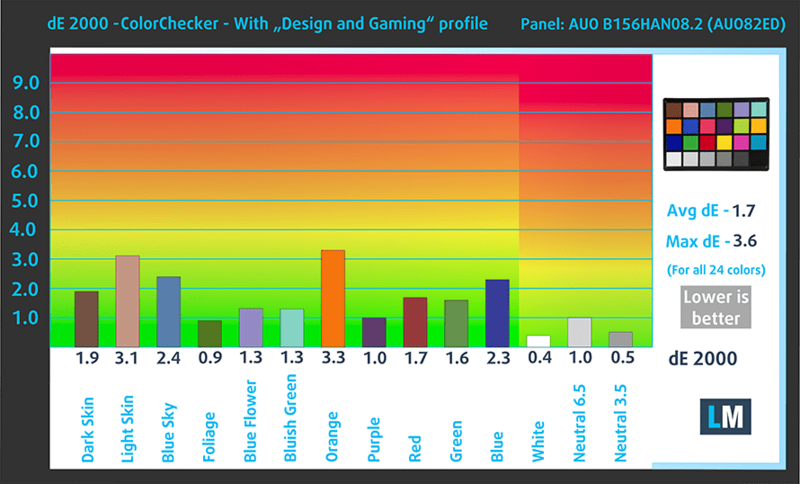 Furthermore, ASUS’ solution stands out with a higher contrast ratio of 1260:1 as opposed to 910:1 in Dell’s one. It’s time to turn our heads to a more intriguing aspect – the color reproduction. 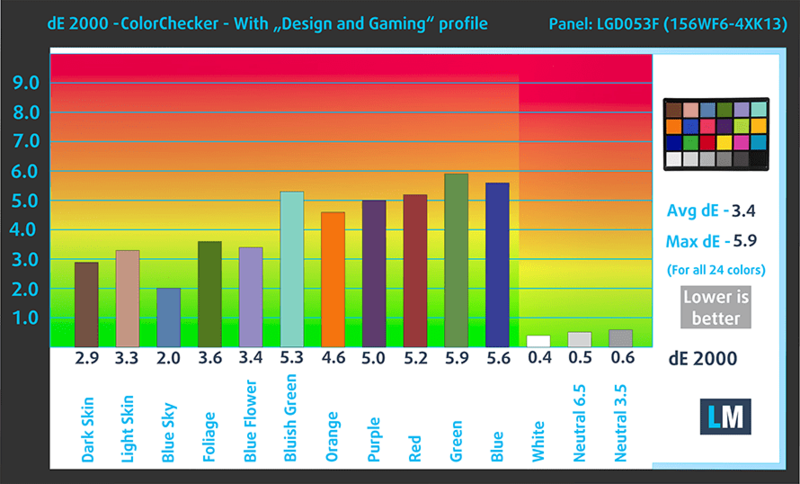 Here, ROG GL504 sweeps the floor with Dell G5 covering 96% of the sRGB gamut which translates into saturated and vibrant images. What’s more, with the help of our Gaming and Web design profiles, the colors become accurate enough for color sensitive work. 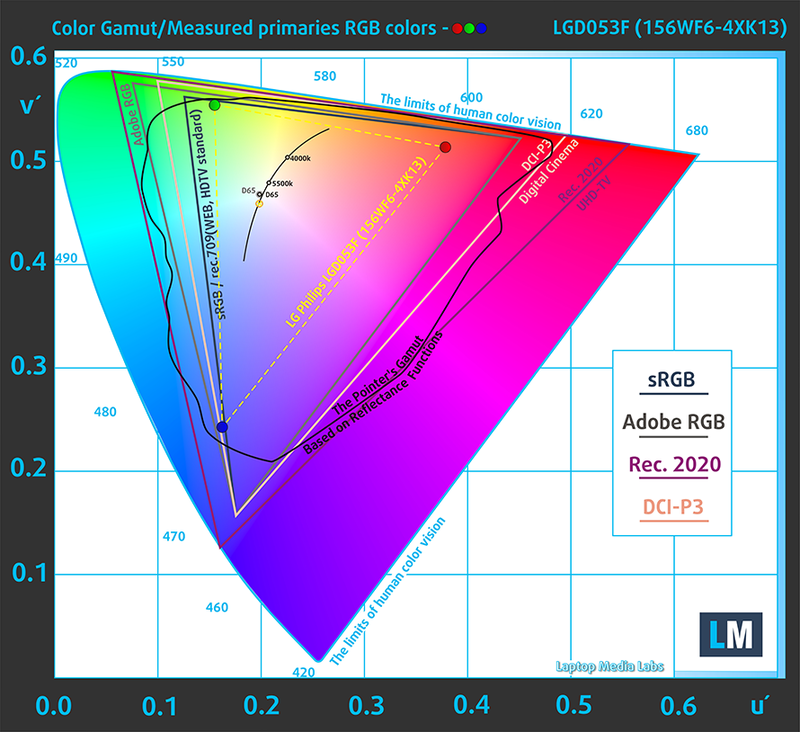 On the other hand, Dell G5 doesn’t impress with gamut coverage – only 52% of the sRGB which means almost half of the colors are not reproduced. When it comes to color accuracy, Dell G5 15 5587 has an average dE before calibration of 4.3 and after calibration, the value is reduced to 3.4. On the other hand, ASUS ROG’s average dE is 4.4 before calibration and after it is significantly reduced to 1.7 (lower is better). On top of all this, we are more than pleased to confirm that no matter which gaming laptop you decide to opt for, you won’t worry about the presence of PWM, therefore they are safe to use for long periods of time without causing any negative effects such as eye strain or fatigue. Here at LaptopMedia, we create a set of custom-tailored profiles for every notebook we review. 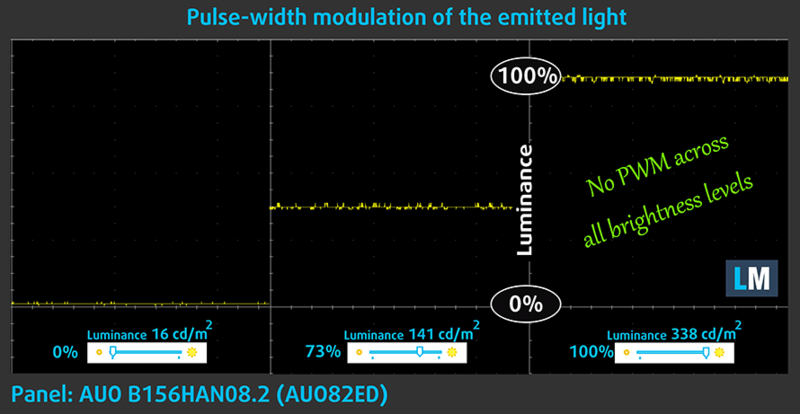 They boost the productivity of displays and reduce negative effects such as blue light emissions and PWM. You can read more about them here. As far as hardware options are concerned, the configurations of the two models we tested come with the 8th generation Intel Core i7-8750H processor. It boasts a total of six physical cores running at base speeds from 2.2 GHz to 2.8 GHz, while the Turbo one is 4.1 GHz (up from 3.8 GHz). On top of that, the TDP of the chip is rated at 45W and it has 9 MB of cache (vs 6 MB on Core i7-7700HQ). More information about Intel Core i7-8750H and its position in our Top CPU Ranking you can find HERE. On the other hand, the notebooks don’t come with the same graphics card, therefore you should expect a difference when it comes to performance. 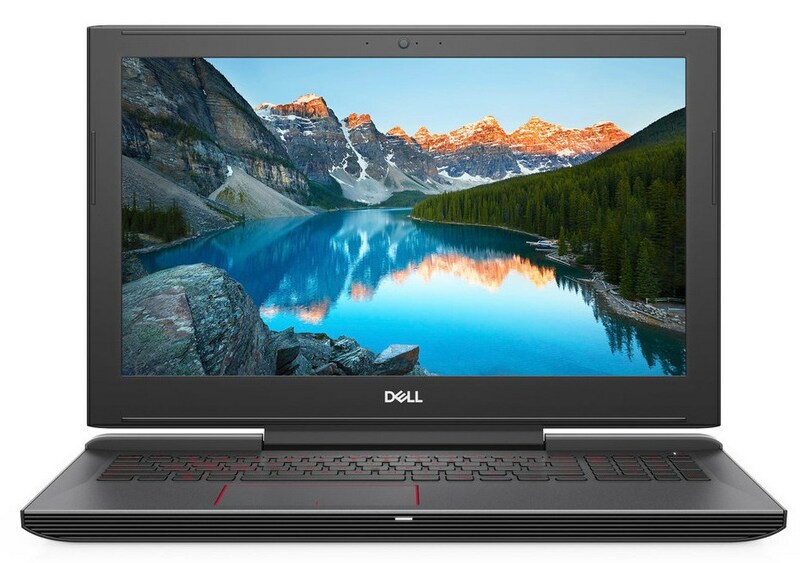 For instance, Dell G5 15 5587 sports the NVIDIA GeForce GTX 1060 Max-Q based on the GP106 chip and offers 6GB GDDR5 of memory clocked at 8000 MHz and connected via a 192-bit interface. In addition, the GPU features 1280 CUDA cores. As for ASUS ROG GL504, the gaming beast packs the full-fledged NVIDIA GeForce GTX 1060 based on the GP106 chip paired with up to 6GB GDDR5 VRAM on a 192-bit interface. What’s more, the GPU also features 1280 CUDA cores. More information about the GTX 1060 Max-Q and its place in our Top GPU Ranking you can find HERE. More information about the GTX 1060 and its place in our Top GPU Ranking you can find HERE. ASUS ROG GL504 offers slightly larger battery capacity – around 66Wh vs a 56 Wh unit in the Dell G5 15 5587, which quite expectedly translates into better battery runtimes. As usual, our devices have undergone several tests. The first one is the Web browsing test where our own script browses automatically through over 70 websites. ASUS ROG GL504 scored 368 minutes which is a pretty decent result and fairly higher compared to just 258 minutes on Dell G5 15 5587. The second test is for Video playback where we put an HD video on loop. ASUS ROG GL504 once again outperforms its rival scoring 352 minutes, while the Dell G5 kept the lights on for 316 minutes. And finally, our Gaming test using F1 2015. 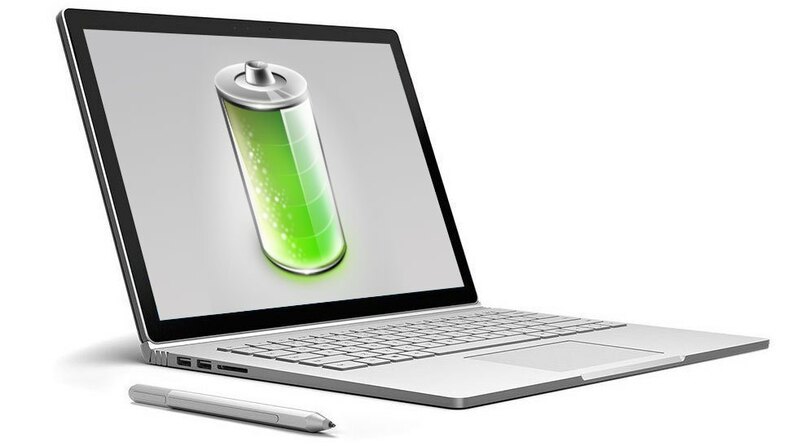 ASUS’ battery provides 169 minutes while its Dell opponent delivers 104 minutes of gaming on a single charge. We have a new way of torturing laptops, and for these particular gaming machines, it comprises of 100% CPU load. In this test we use 100% on the CPU cores, monitoring their frequencies and chip temperature. The first column shows a computer’s response to a short load (2-10 seconds), the second column simulates a serious task (between 15 and 30 seconds), and the third column is a good indicator of how good the laptop is for long loads such as video rendering. As you can see, GL504 overloads its processor and reaches higher frequencies but at the expense of higher temperatures, of course. On the other hand, Dell G5 impresses with low temperatures and not bad at all clock speeds despite being slightly lower (except for the final mark). To sum things up, both gaming laptops are very good deals each standing out with something on their own. If the design is of great importance to you, then most probably GL504 will suit your taste better. Thanks to its extremely thin bezels you will be able to immerse in the gaming world to the fullest. However, both notebooks offer a satisfying overall build quality. 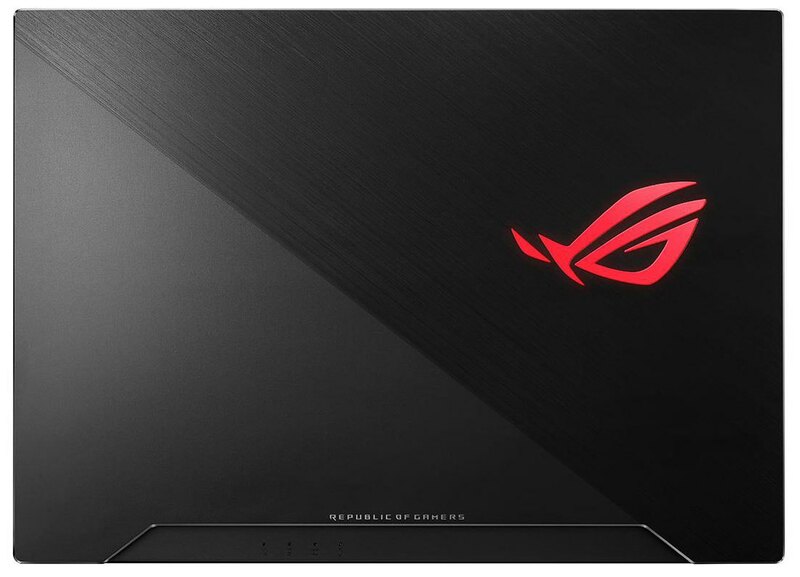 As for dimensions, although ASUS ROG GL504 features a slightly thicker profile, it also weighs around 200 grams less. And when it comes to input devices, ASUS’ device is once again ahead of its rival with its pleasant and convenient keyboard designed to enhance your gaming experience. In terms of connectivity, Dell G5 15 5587 boasts support for Thunderbolt 3, something we cannot say about GL504 unfortunately. On the other hand, ASUS’ model leaves its rival far behind in the display department offering better maximum brightness, higher contrast ratio and impressive sRGB gamut coverage of 96%. You could also check our custom profiles that will further improve the color accuracy, white balance, and gamma. 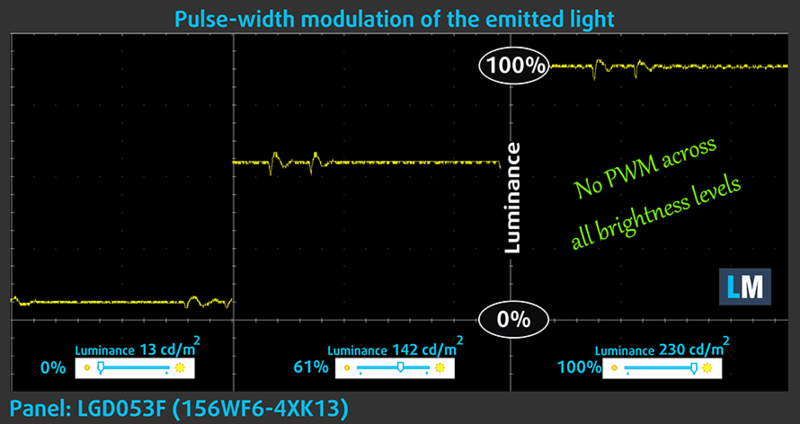 On top of all this, you don’t have to worry about the presence of PWM regardless of your choice of device. ASUS ROG GL504 also exceeds its Dell opponent in terms of battery capacity, providing more than 6 hours of work away from the plug. However, the Dell notebook boasts a more efficient cooling system allowing decent CPU performance while maintaining temperatures lower than what we saw during the heavy load of ASUS’ solution. Why choose Dell G5 15 5587? Why choose ASUS ROG GL504 (SCAR II / Hero II)?